Huge Price Reduction! Hidden Gem! Bring all your toys, RV and more with NO HOA! Don’t miss the opportunity to own this 2018 custom single story home near South Mountain, on a 1/3acre lot. 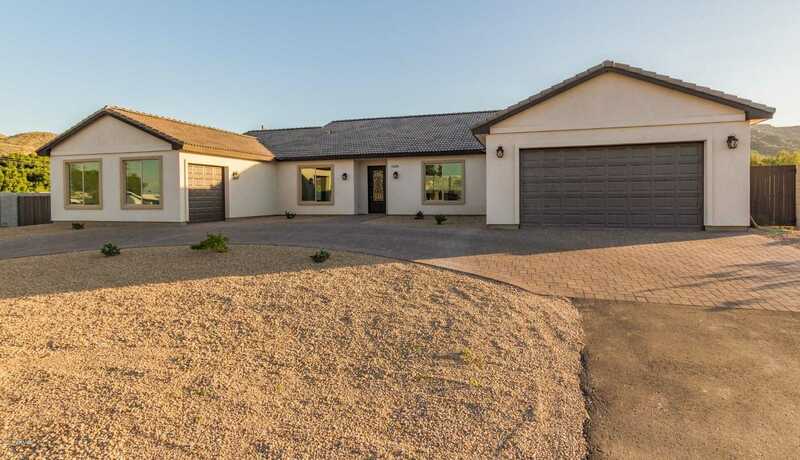 This 5brd/3bth/3car garage home with mountain views and natural desert landscape, features an 8ft custom iron entry door and U shaped paver driveway. The interior leaves nothing to the imagination, with a spacious great room that opens to the kitchen, creating an excellent entertaining space. The well designed gourmet kitchen offers high-end appliances, white 36inch w/42inch upper cabinets, AMAZING granite counters and a walk-in butler’s pantry. The adjacent breakfast area has access through an over sized sliding door that leads to the huge backyard, with room for a pool and views that never stop! Directions: 16th Street and Baseline South to Euclid to property on the West side. Approximate size: 14699.00 sq. ft. Please, send me more information on this property: MLS# 5755100 – $549,900 – 1549 E Euclid Avenue, Phoenix, AZ 85042. I would like to schedule a showing appointment for this property: MLS# 5755100 – $549,900 – 1549 E Euclid Avenue, Phoenix, AZ 85042.